Then came an exciting array of Mezes (small dishes) that are served family style. A lovely woman at the table pulled everything in and styled it for an overhead shot. 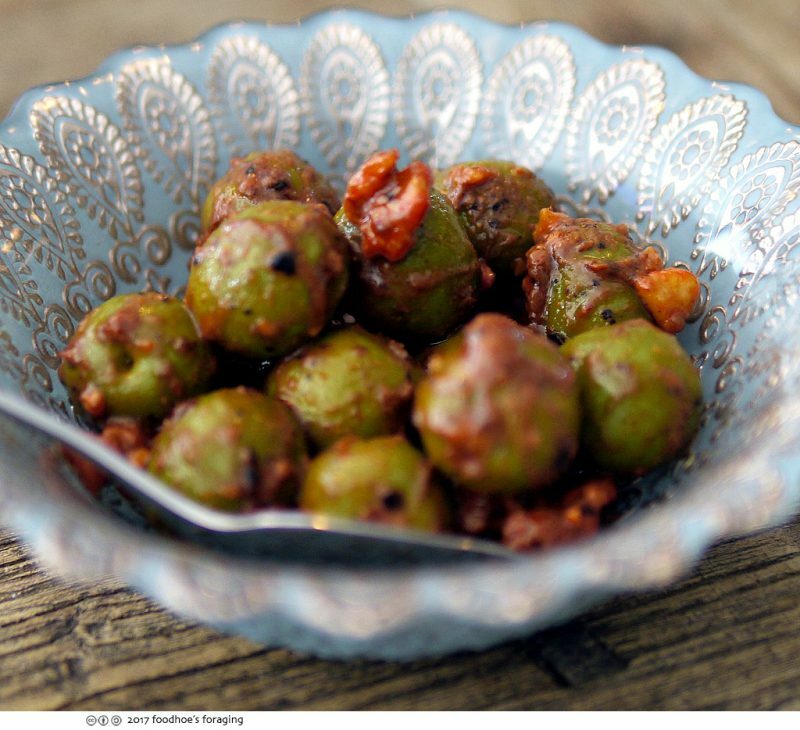 Plump juicy olives marinated in roasted garlic and fermented pepper emulsion along with spiced walnuts. 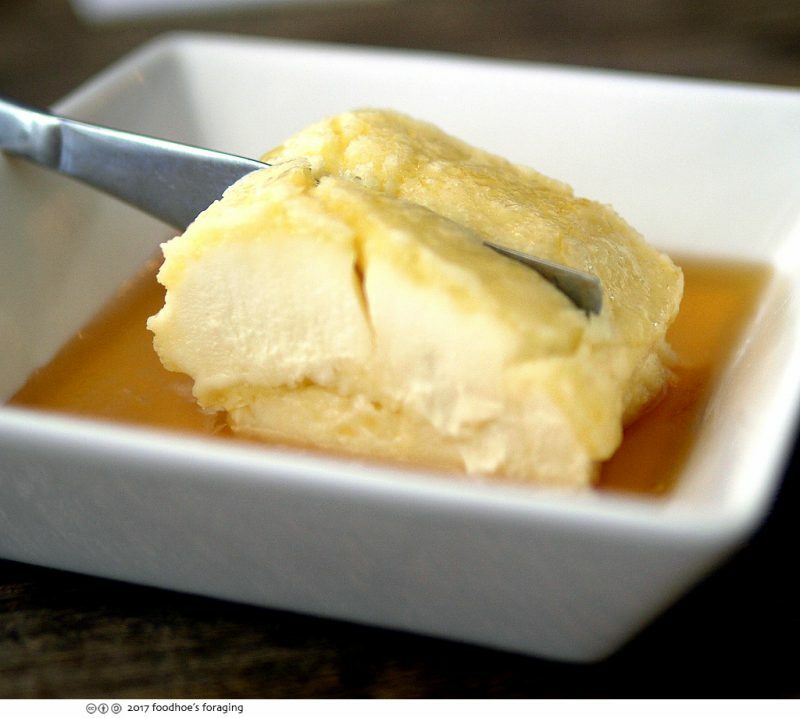 I can’t stop thinking about the incredible Kaymak, which is thick clotted cream that is drenched with honey and sprinkled with crunchy sea salt. 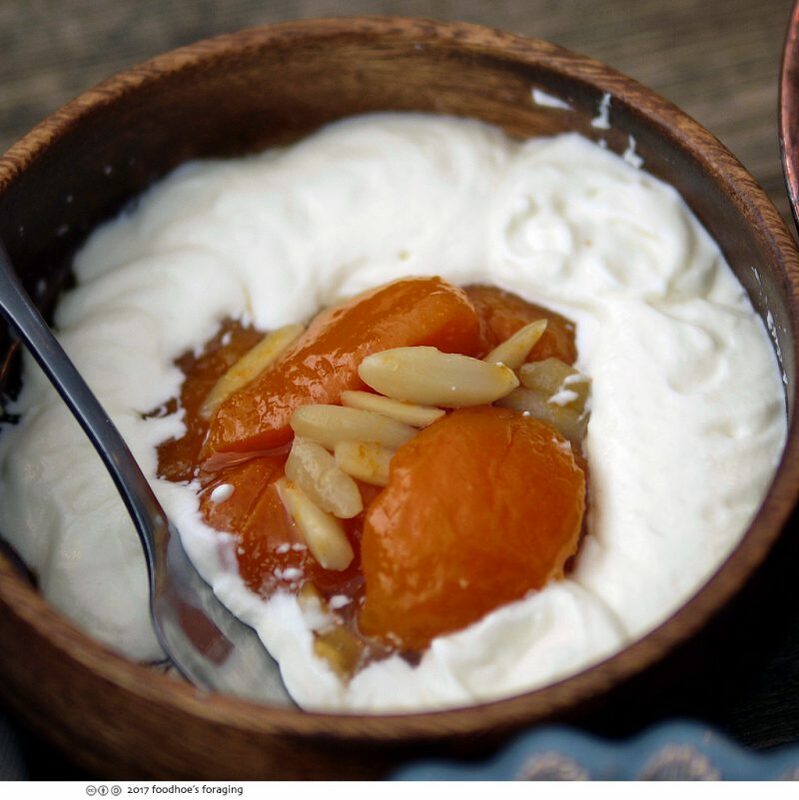 The kaymak (which chef Sayat described as the result of a multi-day process) is magnificent and simple with a creamy taste that’s both subtle and rich at the same time. It is like heaven in a bowl and I couldn’t stop eating it. 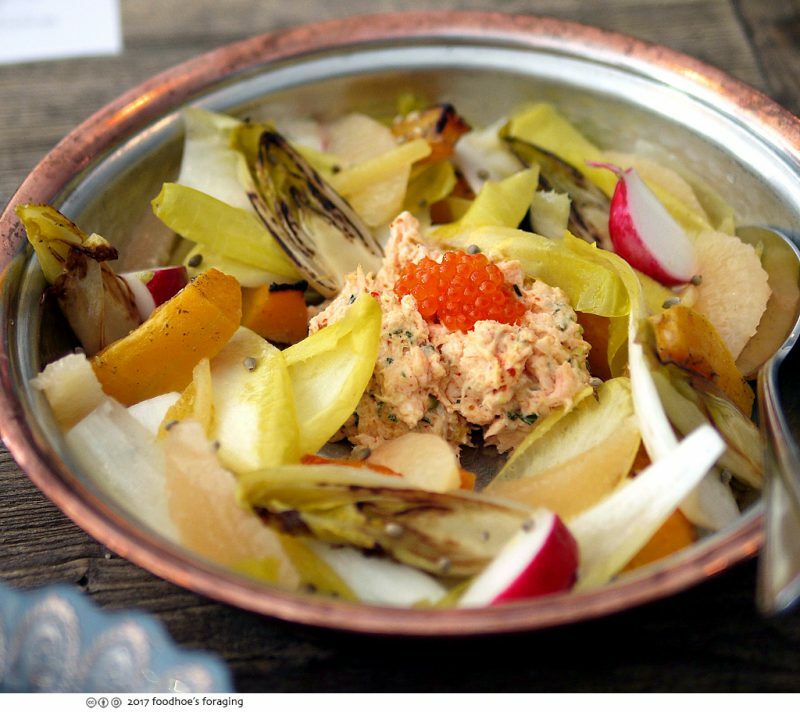 The main dish in this grouping was a salad of braised endive, tossed with slices of pickled eggplant, crunchy radish, roasted butternut squash, and juicy grapefruit segments lightly dressed, with a scoop of rich salmon salad topped with briny salmon roe. Each bite was delicious, with many diverse flavor combinations to explore. The briny warm feta foam with sweet, unctuous apricot marmalades was gorgeous and remarkably delicious. The feta mousse had a light creamy texture like yogurt infused with pungent salty flavor that made such an intriguing combination with the sweet apricot marmalade and toasted nuts. 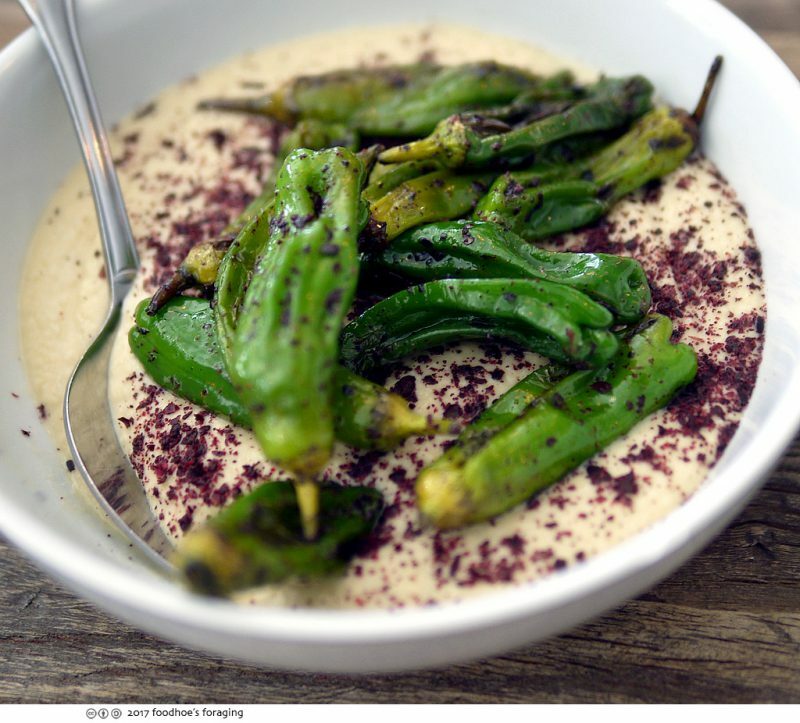 Pan seared shisito peppers served over hummus and sprinkled with tart sumac are two things that we love and their combination fascinated our tastebuds. The main course was a Turkish ratatouille with soft-boiled egg and garlic yogurt topped with zaatar crunchies called jilbir Çılbır. 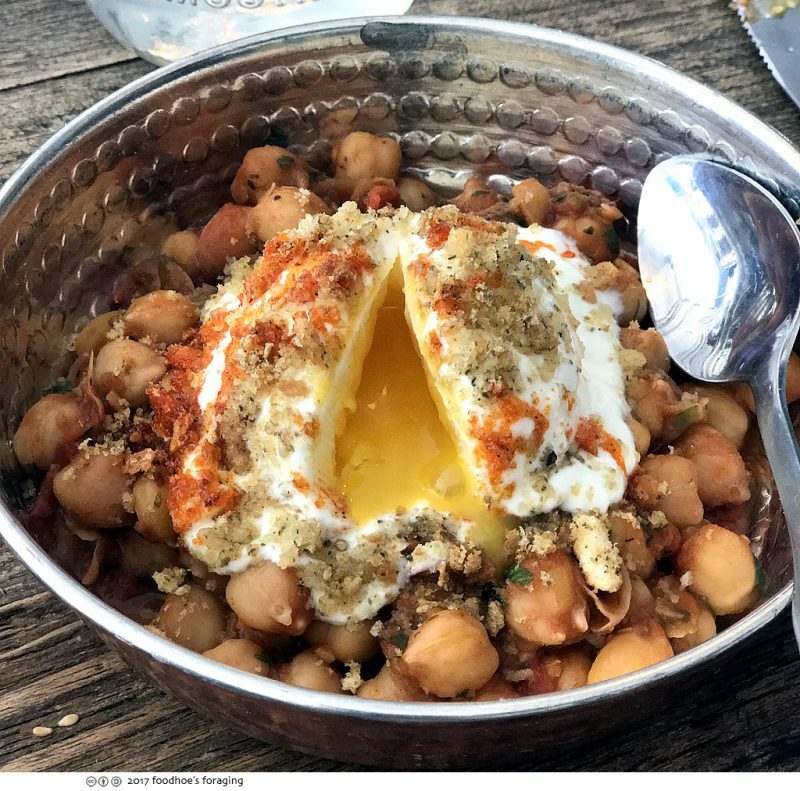 The yolk and yogurt come together to make a delectable sauce for the stewed chickpeas that was so comforting and good. 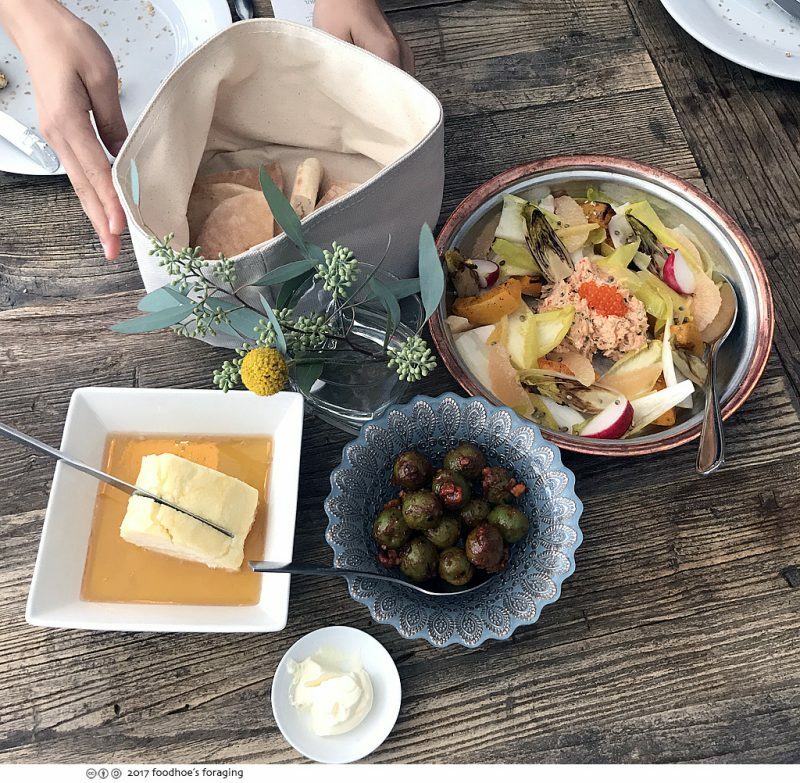 Throughout the meal we enjoyed baskets of fresh baked pita bread to sop up the delicious flavors. 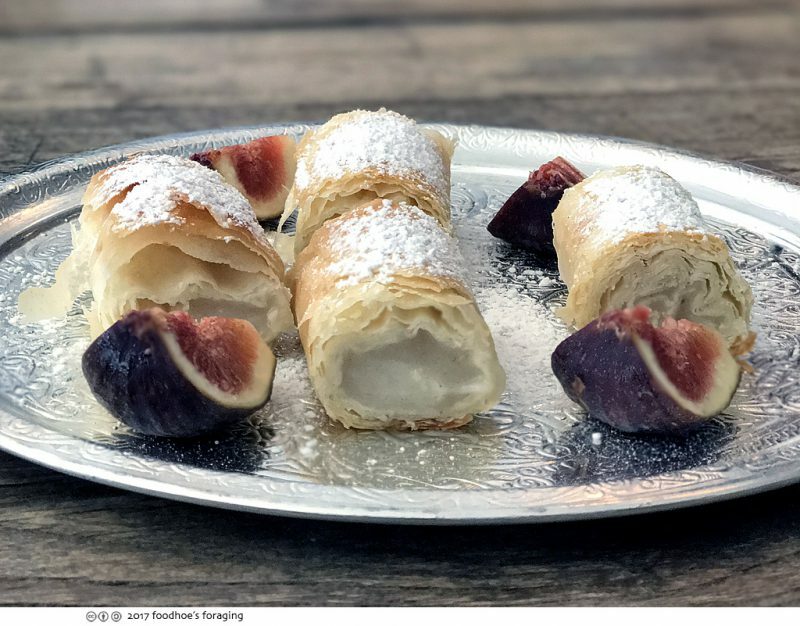 The meal ended with a magical dessert called Tik Tik Borek, made with phyllo and butter, with a delicate creamy filling flavored with mahlab, which had a rich floral flavor with an alluring almond fragrance. 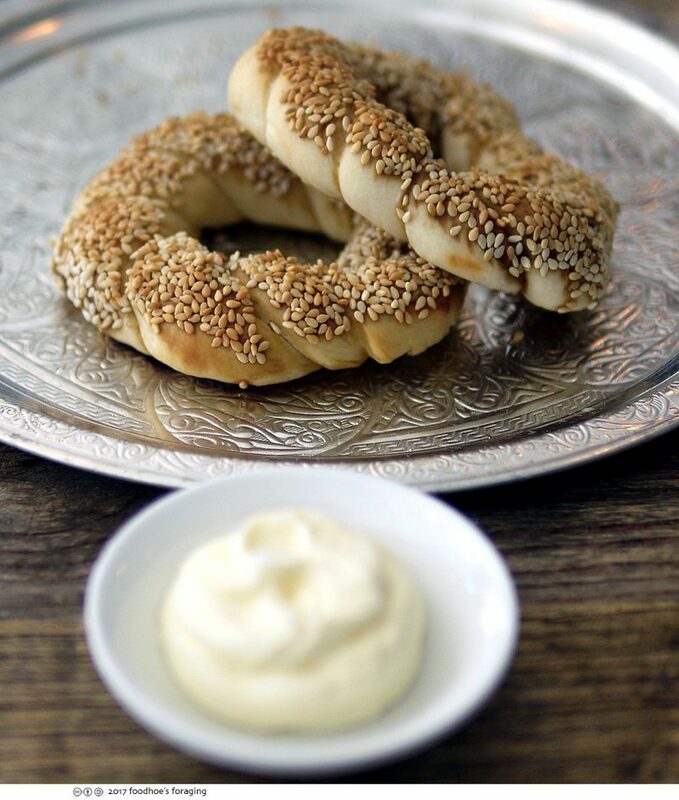 The borek is chopped into segments and sprinkled with powdered sugar and was served with sweet juicy figs. It was beautiful to behold and a fine ending to the feast which was worthy of Sultans! You can find the schedule for Laura & Sayat’s Istanbul Modern events here. This all looks wonderful. 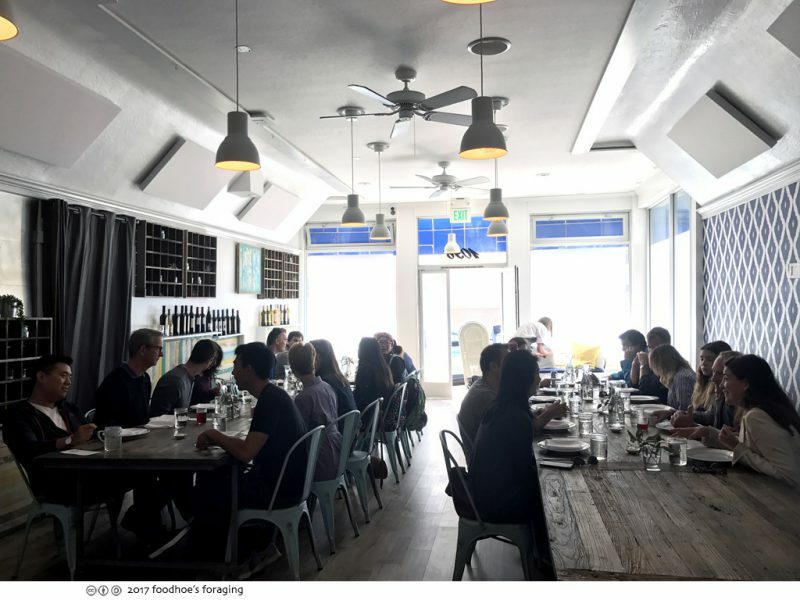 The only Turkish food I’ve had is at Kitchen Istanbul on Clement, and I loved that. So I’ll have to try this too. Glad to see you’re back posting. I’ve missed reading your reviews! Thanks Anne, sometimes I just have to take a break! 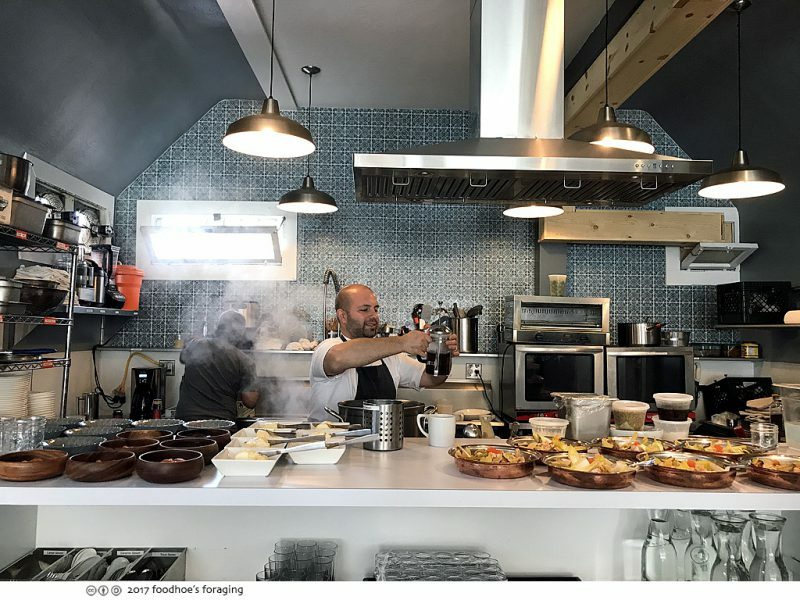 I am very intrigued with Turkish food, so now I want to check out Kitchen Istanbul, thanks for pointing that out. a meal like that doesn’t even need dessert, but what a way to end the onslaught of tasty dishes!! I have to say, eating breakfast in Turkey is one of the best meals and it looks like it was captured pretty spot on here. Kaymak was a revelation to me in Turkey, served with honey, it’s so simple but pretty much blows your mind at the same time. Definitely going to have to give this place a try. Hey Christina, It’s funny how after just one meal, I did a little research on Istanbul and now I want to go there! Yes you should definitely check this out.